Carolyn Burke: I’m interested that rather than writing a conventional biography, you chose to write about Sartre and Beauvoir’s relationship. How did you decide on this approach? What were the consquences for the way you shaped the narrative? What sorts of things did you choose to emphasize, to omit? 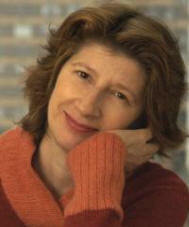 Hazel Rowley: I was keen to move away from womb-to-tomb biography, and to feel freer as a storyteller. And I did feel freer. I have never enjoyed writing a book more. Obviously I still had to get the facts right, but I didn’t have to take on board their whole lives (the narrative begins in the summer of 1929, when Sartre and Beauvoir met, and it pretty much ends with Sartre’s death in 1980). I talk about their writing lives and their iconic roles as public intellectuals (intellectuels engagés) because these were important aspects of their relationship, but I didn’t feel obliged to fill out the picture. What a liberation! After my other books, I felt as if I were wearing dancing shoes. I tried to give equal space to Sartre and Beauvoir. It’s true that most readers sense that my sympathy lies with Beauvoir, but I admire both of them in many ways. Sartre’s insecurities made me feel a real tenderness towards him. He drank a lot; he took enormous quantities of speed; at times he was on the verge of madness. It’s my belief—contrary to public opinion—hat he needed Simone de Beauvoir more than she needed him. What did I choose to emphasize or omit? As philosophers and as writers, Sartre and Beauvoir adamantly believed they should tell the truth. I was guided by the same principle in my book. I wanted to tell the truth about their relationship and not to whitewash their behavior, but the fact is, their love life does not always show them in their best light, and I was conscious of the danger of trivializing these two 20th-century icons. In order to tell this story without simply muckraking, I took pains to sketch in the broader picture—to give a sense of their intellectual trajectory and their writing. How did you solve this problem, Carolyn? Your Lee Miller biography also gives a lot of focus to a relationship. You made some interesting decisions about how to present your subject’s relationship with Man Ray, her mentor, lover, and employer when she was a young photographer in Paris. What were your reasons, and how did these choices alter the way you told the story of their affair? These emphases also meant exploring the Surrealist milieu in which Man operated (André Breton considered him the Surrealist photographer), especially in its treatment of the women who gravitated toward the movement. Within a year of Lee’s arrival in Paris in 1929, Man’s portraits of her were appearing in Surrealist magazines, where she was promoted as a quintessential “femme surréaliste.” His untiring focus on her anatomy, whole and in parts, may have resulted in her decision to photograph outdoor scenes, humorous “found” images or moody Paris shots inspired by the work of Eugène Atget, and her relative lack of interest, judging by her own, in the human body. And when it came to their break-up in 1932, precipitated by Lee’s decision to return to New York to open her own studio, it meant shaping the narrative to bring out her reasons as well as his reactions, just as their reconciliation five years later received narrative emphasis so that I could continue to write about their lifelong affinity, especially in their later years. Could you describe how you came to writing about the Beauvoir/Sartre relationship? Was it initially one or the other who attracted you? When I read Beauvoir’s memoirs in the late 1960s, I was exhilarated—intoxicated, one might say. She made the impossible seem possible. Didn’t we all want an intellectual partner with whom we could share our work, ideas, and slightest thoughts? Didn’t everyone want to write in Paris cafés amid the clatter of coffee cups and hubbub of voices, and spend their summers in Rome in complicated but apparently harmonious foursomes? Who wanted monogamy when one could have freedom and stability, love affairs and commitment? Thirty years later, I wanted to come back to the relationship that had meant so much to me over the years, and see what it was really like. What the world knew about it came almost entirely from Beauvoir herself: her memoirs, her letters, and what she said to Deirdre Bair, her biographer, in the 1980s. I wanted to know more about Sartre’s point of view. I wanted to talk to their friends and lovers. What did they feel, after all these years? And you, Carolyn? Why Lee Miller? She’s less well known than Beauvoir, and this is risky for a biographer. I’d never heard of her before you brought her to my attention. Carolyn Burke: Which is amusing, since Lee was already known in Paris as a notorious femme moderne by 1929, when Beauvoir and Sartre were getting together. But they moved in different circles, even though they frequented some of the same cafés in Montparnasse. I was drawn to Lee Miller as a subject by stages. First, when I came to know her in 1977, a few months before her death. I was working on Becoming Modern, my biography of Lee’s friend Mina Loy, at that time and met Lee in one of those fortunate accidents. We hit it off; I interviewed her extensively; I felt an affinity to her, just as you say, as a creative woman who managed to combine love affairs and commitment while pursuing an independent life. But it was not until 1990, when I saw the first traveling exhibition of her astounding photographs, that I knew I had to write about her. I can still feel the visceral impact of her World War II images, especially those from Buchenwald and Dachau. The realization that the iconic beauty who had adorned the pages of Vogue then became the first woman photojournalist to document and analyze the chaos of war-torn Europe was simply too stunning to resist. I have to say that while writing about her, I felt emboldened by her spirit. It was exhilarating to pace my narrative to her headlong rush into experience even before the war—going to Paris to study with Man Ray, acting in Cocteau’s movie Blood of a Poet, taking off to Egypt in 1934 with her then husband, Aziz Eloui Bey, organizing treks into the desert to escape from cosmopolitan Cairo—all this was tremendously exciting. As the biographer must, I followed in her footsteps, sometimes literally, sometimes in my imagination.